When it comes to office furniture you can spend a small fortune on new office furniture, yet there are always incredible deals to be had with used office furniture! Take a look at our range of used office furniture on this site and you'll soon discover that not only is it superb value, but also is usually in great condition. 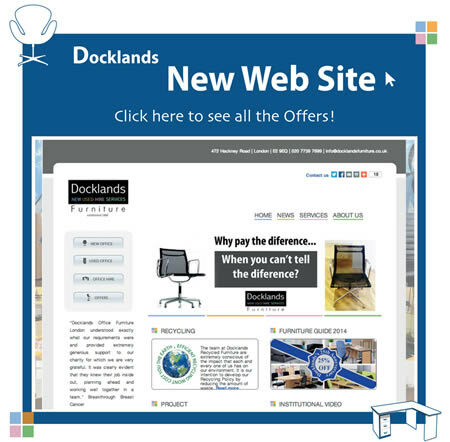 So the next time you are in the market for second hand office furniture, remember Docklands Recycled Office Furniture, the name you can trust in used office furniture. For this week's special offers! Have you ever been to a used office furniture showroom? Probably not, yet every week we are expected to participate in quite detailed recycling of paper and drinks can etc from our offices, and food and waste from our homes. When you think about it, buying used office furniture is a great way to consider the environment and of course your carbon footprint. 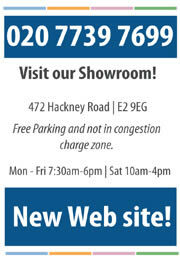 So why not come along to our London showrooms and see for yourself. We always have an ever changing display of second hand office furniture, as the nature of this business is change.